I know some of you think me a lunatic for going to a psychic twice last year. I also know some of you think I’m extra looney for actually listening to someone who is located under a bridge (she has an actual storefront, so it’s not that random). I don’t know if Doreena inspired me, or the inspiration was already in me and she drew it out… but when I came back from Australia… I knew. I felt that it was time to change. 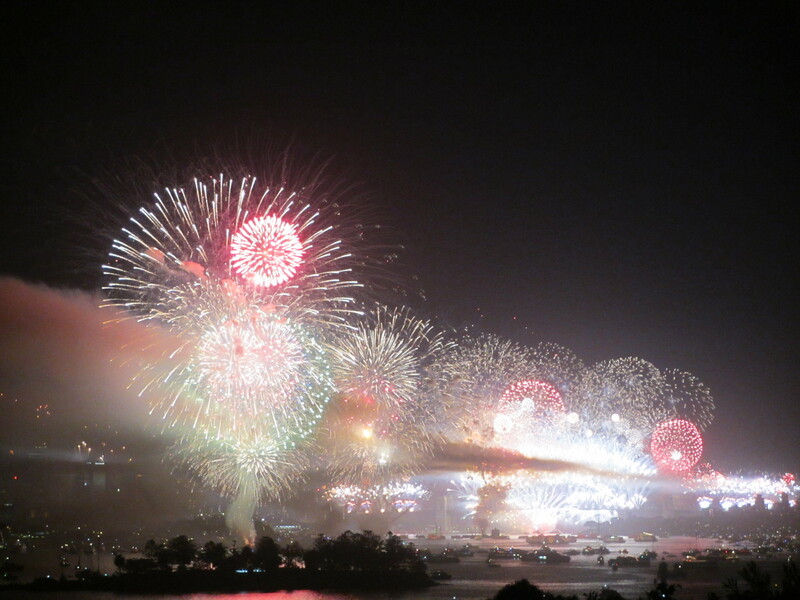 My time in Australia involved visiting zoos, riding a boat through Sydney Harbor, seeing the Opera House with my own eyes, the Harbor Fireworks. 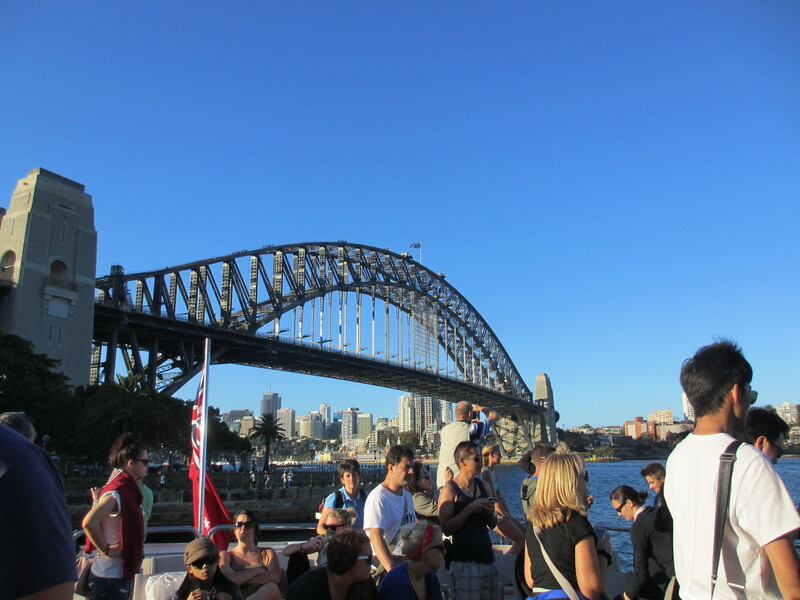 I was able to see Bondi Beach, Melbourne and eat some great seafood. I got to know locals, and met up with new and old American friends. All of that was fun- and an experience. So here are some of the highlights… and then I’ll explain why it’s time for my life to change. 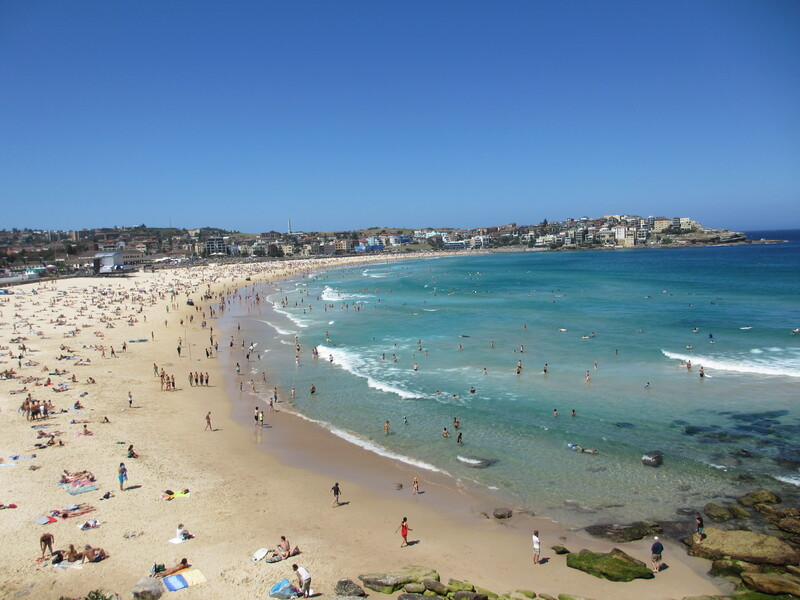 The beach itself, Bondi Beach, is adorbs and contained. Sand so soft (and cool) you won’t believe your tootsies. 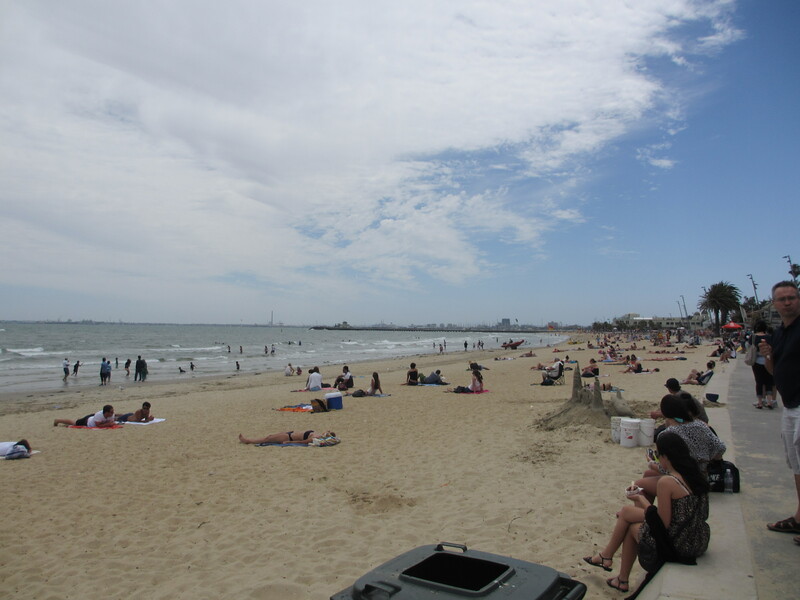 Gorgeous views, tons of little shops and restaurants dot the streets surrounding the beach. Very beachy vibe. The walk to Coogee is also gorgeous and interestingly lined with worn sandstone. The Ivy/Penthouse – party like a Rockstar on NYD. Pool club/bar. Three levels of DJs- the Penthouse, the pool and the Change Room. Take a ride on a boat if you can… we took the Captain Cooke from Olympic Park to New Quay. Great views of the bridge and the Opera House. Not sure if it’s a must-see but it is pretty. 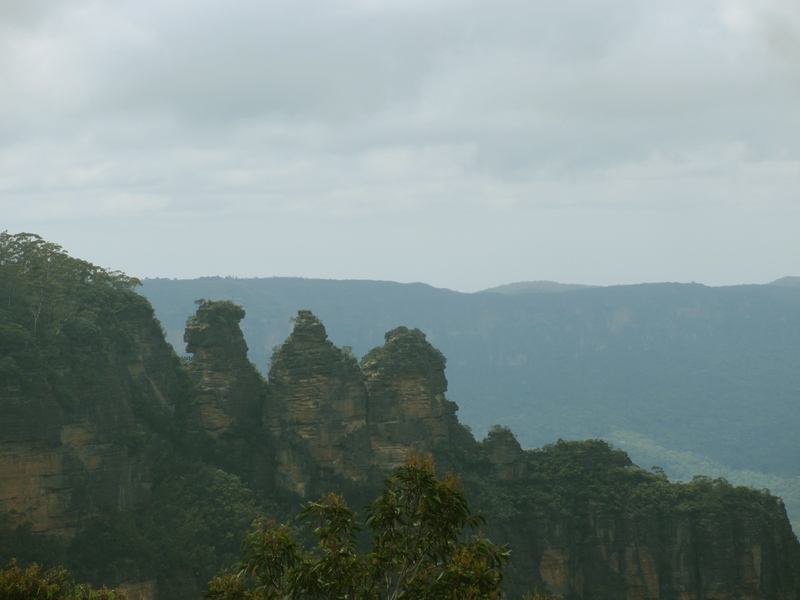 The cable car and vertical railway at Scenic World were pretty cool to experience. Nice little snippet of an Aboriginal show and didgeridoo. 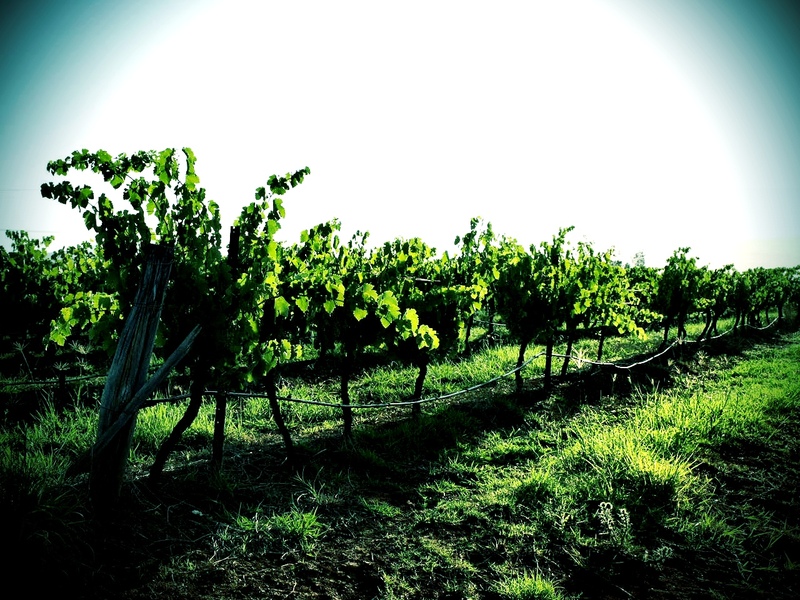 It’s not quite the pomp and circumstance of a Napa/Sonoma… but it’s got its charm. Tons of wineries to visit and see. Muse was a delicious and delightful restaurant- very modern and smart in its decor. The Aussie had us in a private room for the dinner. Hunter Valley Zoo allowed me to get up close with fluffy koalas, cutie wallabies and baby wombats. A small local zoo with fun animals for all. Tons to explore. Federation Square is a meeting spot for locals and tourists, surrounded by the contemporary architecture of the two museums that encase it. 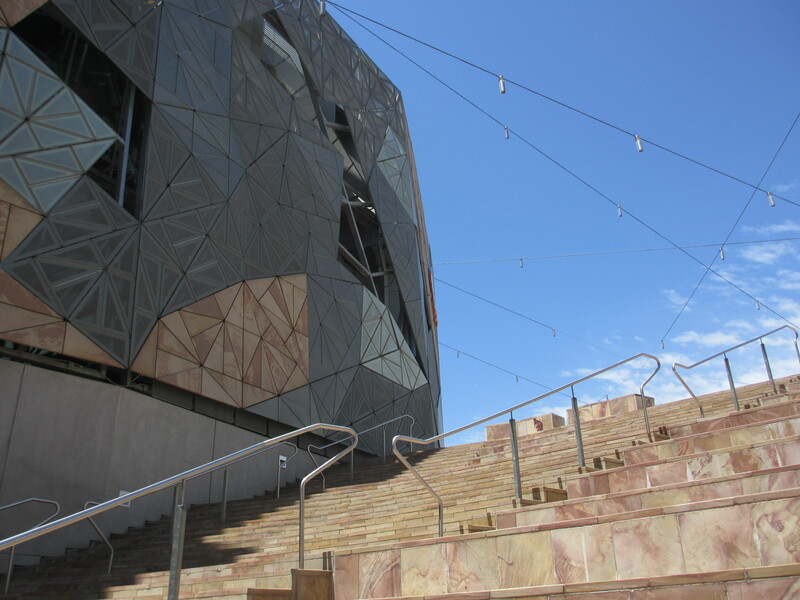 The Ian Potter Centre at Federation Square houses a fun blend of old and new Australian Art. The State Library with it’s massive reading room has several exhibitions with Australian history. The Cookie Rooftop Bar is a poor man’s The Standard Rooftop Bar. Fun atmosphere among the skyscrapers of Melbourne. Another beach city but with Luna Park, makes it more kitschy-Venice-like. Take the 16 or 96 tram from CBD for a little ocean breeze. Darling Melrose-like street with loads of boutique shops and restaurants. I actually liked this street best and wish I had more time to shop there. 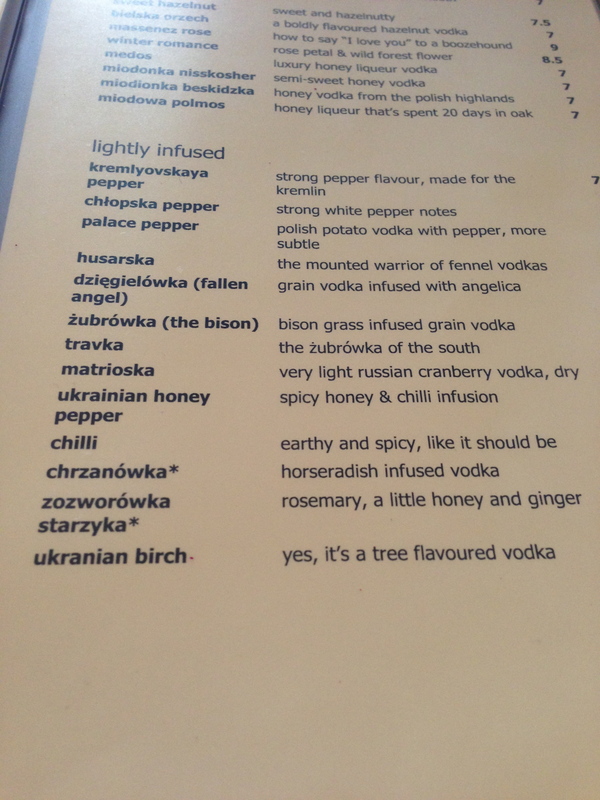 Borsch, Vodka and Tears has amazing pierogis and a vodka list that will make your head spin. In all that activity, I pulled out a lot of lessons, reflection, self-awareness, and understanding. This is where the change part comes in; but first, a little background. I have been single since March 2012. That was when I ended my last relationship. I have been on a self-quest to stay single for one full year… until March 2013. So far, I have accomplished this. It may seem like a simple task, but boyfriends love to find me!! Seriously. I can’t shake ’em. This time, though, I did something different… I have successfully found people to date who are completely unavailable – therefore cannot/will not be my boyfriend… which has aided me in my quest of staying single. And it’s worked!! I know it sounds crazy… but it’s what I needed this past year. Ok, so the thing about this trip!? All this single craziness of the past year…. the dating of physically and emotionally unavailable guys, going on a thousands of dates, partying until 6am, making friends who aren’t necessarily true deep friends, signing on to do a million and one things… it all culminated in nine days in Sydney. I experienced all that I have experienced in one year on this trip- and I can say, with confidence, I think this girl’s oats have finally been sewn. I’ve exhausted every single singleperson cell. I need a break. So here comes the change. I am seriously looking for a place to buy. And not in my current neighborhood. I have been in the SouthBay for five years, and while I love the vibe, the beach… I can tell you honestly, it’s stagnant. I’m not growing anymore as a person. South Bay introduced me to amazing people who have become dear friends. It introduced me to one of my loves in life: yoga. It gave me cool real air (without an air conditioner) and a warm cozy beachy place to come home to everyday. It gave me a community. All wonderful things that I could keep forever if I wanted to stay here. But here’s the thing… I’m ready to be with my person. Or be available for him to find me. And to own a place that will not only be MY home, but will help me be more productive in my job, and in my writing and creativity. That is the change I seek- and I don’t believe I will find it staying here. Doreena the psychic, no matter how crazy it sounds, hit the nail on the head. I needed to go on this trip to get to this point. To push me so hard to make real changes. Now, all that’s left is to make them. Ah, the power of a trip.